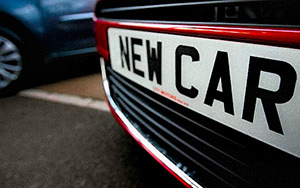 Driving a new car begins with run-in. During this period of time all the functioning parts, irrespective of the type of technology used during manufacturing, need to be adjusted. The thoroughness of the run-in period largely affects the life span of a new car. 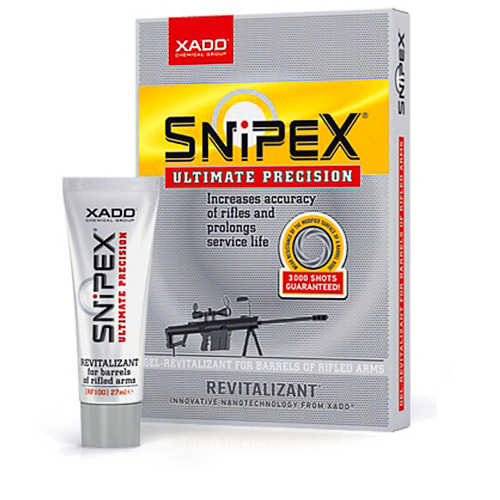 By ignoring this fact you may increase the possibility of the engine operation with a large number of high-precision movable parts and increased loads outside the range of its most efficiency. This may lead to decrease of the car longevity, increase fuel or oil consumption and to many other problems with a new car operation. 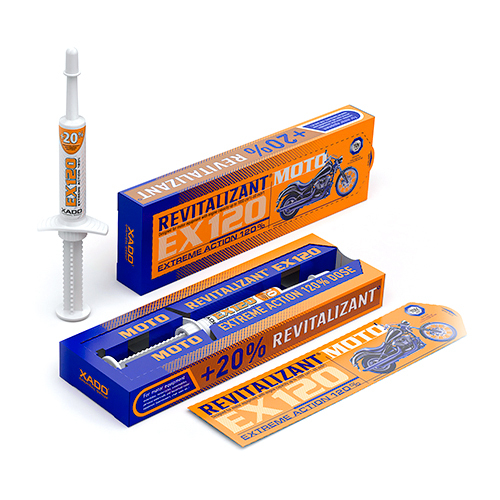 By adding Atomic Metal Conditioner New Car with 1 Stage Revitalizant® product into the motor oil, antiwear protection of the engine parts of a new car and precise adjustment of parts during the run-in period can be achieved. It is proved that the life span of a badly run-in engine equals just 30% of that with correctly adjusted assemblies. 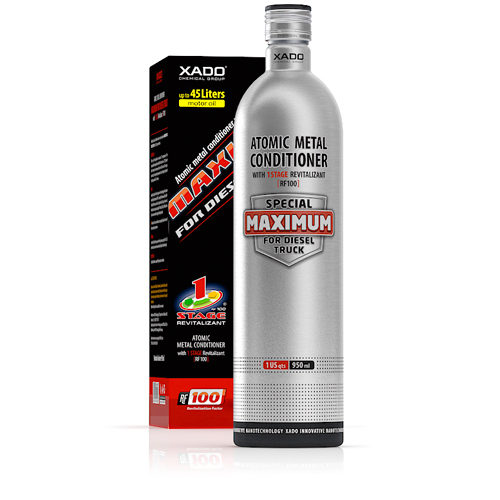 Atomic Metal Conditioner Maximum New Car with 1 Stage Revitalizant provides top level engine protection of a new car and local accurate adjustment of parts to each other during running-in. Innovative 3-component product of new generation that combines advantages of two-phase complex metal conditioner and revitalizant of the third generation. It is specially designed for new gasoline, LPG and diesel engines (with mileage up to 12,427 mi). Shake the bottle. Pour the content of the bottle into the oil filler of the engine warmed up to the working temperature. 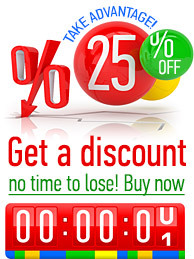 Start the engine and let it idle run for 3 to 5 minutes. The temperature of the product should be at least 25° C (77 F). 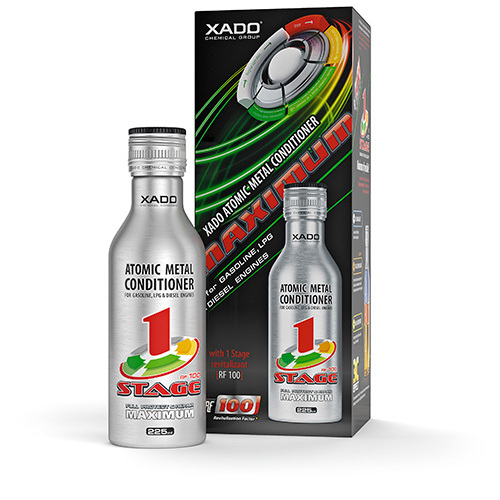 XADO 1 Stage Atomic Metal Conditioner with revitalizant is effective for gasoline, LPG and diesel engines of passenger cars and small trucks with oil system up to 10 L. It is compatible will all types of motor oils. Revitalization is completed within 621-932 mi and it is not recommended to change oil during this time. 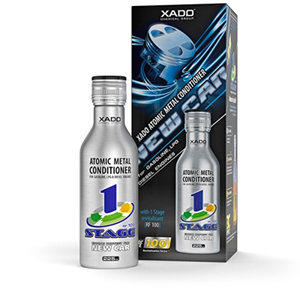 In order to keep the highest protection level of the engine from wear-out it is recommended to use XADO Atomic Oil or XADO HighWay Metal Conditioner during each oil change in future.